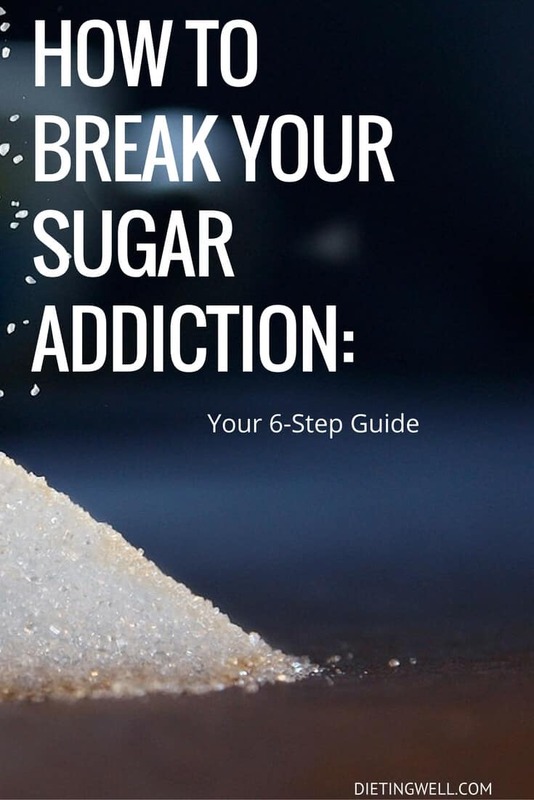 This thoroughly researched and detailed article explores the most effective ways you can absolutely break your sugar addiction. If you are among the millions who suffer from a fatal sweet tooth, take heart–you are far from alone. In fact, sugar addiction has been around since the first shipload of the precious stuff embarked from the New World and landed on the tables of our European ancestors. Most of us are well aware of sugar’s less-than-sweet nutritional benefits, with multiple damaging effects on your physical and mental health, and err to the side of moderation–if not total elimination–when it comes to indulging. But for some sugar is a very real addiction, and the struggle to break the habit can be just as painful as any substance abuse. For example, the results of recent studies have shown that a greater neurological reward can be reaped by an intensely sweet treat than by the consumption of a drug such as cocaine. Similar findings were also shown to occur in matters of sugar withdrawal, with symptoms equal to those of opiates, alcohol, and nicotine. There’s no doubt about it: sugar is a tough drug to kick. No longer the precious cargo of centuries prior, sugar is readily available, cheap, and all too often used as a mechanism for traditional celebrations, satiating children, and rewarding ourselves. It’s no wonder all those studies proving the detriments of excessive sugar consumption barely make a dent in the public consciousness. How do you quit something that’s being pushed on you 24/7? The good news is (no, really!) you can absolutely break your sugar addiction while continuing to enjoy the more delectable things in life. All it takes is a little personal conscientiousness, research, and some simple addition and subtraction in the kitchen. Before you do anything, step back and take an honest inventory of where your sugar consumption is the most prominent. You might be surprised at what you find. Do you dose your morning coffee or tea with spoonfuls of sugar without even realizing it? Or does your sweet tooth take the form of a midday bakery treat or two? Do you find yourself dipping into a bag of candy at regular intervals or drinking from a liter bottle of soda to satiate your thirst? Even routine fast food lunch breaks pack on the sugar, sometimes hundreds of grams’ worth! Just as the first step towards breaking an addiction is recognizing you have one, it’s crucial to acknowledge where in your diet your sugar intake is the highest and proceed from there. Sometimes it’s as simple as performing your routine grocery shopping run, then looking into your cart before checkout and evaluating. Sweetened breakfast cereals, frozen meals, snack packs, fruit juice beverages, and even some dairy products all contain significant amounts of sugar. You’d probably be amazed–if not taken aback–at the where the everyday culprits lie, and just how easy it is to overlook them. We’ve all seen those hot pink and bright blue sweetener packets on cafe and diner tables, and while it may be tempting to reach for one and call it a safe sugar bet, saccharin and aspartame are actually just as bad as their substituted counterpart. While artificial sweeteners taut their low caloric content, a study conducted through the American Diabetes Association found that artificial sweeteners significantly alter the way the body metabolizes sugar, resulting in continued weight struggles and damaging side effects equal to that of actual simple and refined sugars. For example, it may be widely encouraged to opt for “diet” soft drinks when looking to cut back on one’s sugar consumption, but in reality that’s more akin to swapping out one harmful substance for another. It’s true that not all artificial sweeteners are created equal. Stevia, a natural compound found in the stevia leaf, has been used as a sweetener for hundreds of years in native regions, and has recently been making headlines in the western world as a much safer alternative to common sugar substitutes. The problem is, even artificial sweeteners are still giving you your sugar “hit,” even if it’s an altered one. So essentially you’re still answering to your craving, rather than kicking it altogether, which in all likelihood will lead to an eventual relapse. A number of factors contribute to a dependence on sugar, and your addiction isn’t just the result of too many teaspoons of sugar in your coffee or a fondness for desserts. Sugar can find its way into the most seemingly innocuous foods under a number of guises, the most popular being corn syrup, maltose, fructose, dextrose, and evaporated cane juice, all of which can be found in items ranging from pasta sauces to common table condiments such as salad dressings and ketchup. In order to nix your sugar addiction it’s necessary to check all ingredient listings when possible, to make sure you’re not unknowingly dosing yourself with the exact substance you’re trying to eliminate from your diet. A good rule of thumb is to refrain from all prepackaged and frozen food items, which not only contain a laundry list of unpronounceable chemical additives and preservatives, but pack on the sugar in a variety of sneaky ways. Even nutrition bars, sports drinks, and other so-called healthy alternatives actually contain multiple grams of sugar, with minimal vitamin and nutrient content. 4. Pile On The Protein. Many times we reach for sweet snacks to satisfy hunger pangs between meals, and why not? They’re easy to acquire, usually cheap, and a convenient way to fill up on the go. The problem, however, is a twofold one: you’re likely to still be hungry a short while later, and you’ve just given your body a sugar high that will probably end in an inevitable crash. 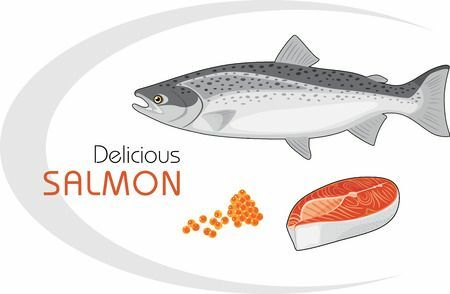 Healthy fats and lean proteins not only taste delicious and fill you up, but also contribute to continuous weight management. Start the morning with a protein-and-healthy-fat-packed breakfast such as eggs and avocado, rather than reaching for the usual sweetened cereals and pastries. The benefits of a good night’s sleep are innumerable: improved immune system, better metabolic functioning, and overall increase in energy and mental clarity–just to name a few. But studies have long linked sleep patterns with certain cravings, and because we often attribute sleep deprivation to stress, guess what we reach for as relief? Yep, sugar. The human body is designed to burn protein-derived fat throughout the course of the day and into the night, as healthy fat burns at a slow, steady rate that can sustain it for long periods at a time–definitely during a good night’s sleep. Sugar and carbs, however, burn much more quickly, and for those who consume more of the latter than former, long periods of sustainable sleep are next to impossible, resulting in a kind of cyclical sleep-sugar dependence. A diet high in protein, combined with at least 7-8 hours of sleep a night, means your body is burning healthy fuel, eliminating the need for middle-of-the-night and morning sugar fixes. So with the elimination of refined sugars as well as artificial sweeteners, you may be wondering what CAN you use to appease those sweet tooth urges from time to time? The answer is simple: nature! Referring back to our early ancestors, it’s worth noting that sugar as we know it wasn’t always the go-to sweetener for beverages, desserts, and everyday flavorings. Raw honey is the oldest form of sweetener used by civilizations around the world, and while that may not be a feasible option in the case of a full-blown sugar overhaul, you can still take a page from similar alternatives that are still in use today. The spice rack is a fantastic place to start in finding tasty, sugar-free alternatives to keep you on track. Cinnamon, vanilla bean extract, ginger, anise, nutmeg, and cardamom are some of the oldest flavorings used to sweeten up dishes, pastries, and drinks. You can add these to your coffee and cereals or incorporate into baking for a subtly sweet taste with zero calories, crashes, and other harmful side effects. In addition to your natural sweetener arsenal, citrus zest adds a refreshingly fruitiness to desserts and sparkling water beverages. Drink plenty of water! It’s a common mistake to assume your body is craving sugar when really it’s just dehydrated. Stick to the 8×8 rule (eight 8oz glasses of water a day) and see if your sugar pangs are naturally dissolved. Boost your serotonin. Serotonin, also known as the the “happy hormone,” can be increased through diet, regular exercise, and a sensible sleep schedule. When your body gets plenty of serotonin, it no longer craves sugar as a pick-me-up. Stabilize your blood sugar by eating several small, healthy meals throughout the day, rather than the usual overloaded breakfast, lunch, and dinner. 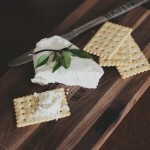 This is a common method for avoiding dips in blood sugar, which tend to result in reaching for the quickest processed snack for a quick boost. Let’s face it, sugar is everywhere and for a good reason: it’s delicious. Add to that the inexpensive accessibility and it’s hard to give your pantry the full clean sweep. Fortunately, more and more dining establishments and food brands are cluing in to the harmful effects of refined sugars and making it easier than ever to find healthier options. When looking to strike sugar from your diet, it’s important to understand where the actual striking needs to take place. So much of our eating habits go unnoticed for the simple reason that they’re acquired through lifelong patterns and rituals. If you’ve never noticed how much of a thing you consume, how can you rectify it? Acknowledging where your sugar intake is the highest and focusing from there not only makes the process less daunting, but makes it easier to find the necessary alternatives. Similarly, by paying close attention to labels and ingredients you can nip your sugar intake in the bud right away. Items we commonly consider sugar-free by virtue of their meal category (a fast food burger for lunch, pasta for dinner, etc) can actually contain just as much grams of sugar as baked goods or servings of candy. Seeking more organic choices, sticking to a good night’s sleep, and upping your protein intake all contribute to zapping the stress and ensuing urges that bring on the sugar cravings in the first place. With a little time, patience, and diligence, you’ll be naturally sugar-free in no time, and amazed at how much better it feels. Have you had any success breaking your sugar addiction ? I often have have insane cravings for sugar. I can detox for a few months, but one misstep and I’m back at the beginning. Popular theory is that if you remove outright and hidden sugar for a few weeks, you’ll stop craving sugar. I’ve not found this to be true, regardless of which food plan I’m following. While most people like sugar, not everyone is addicted to it. It is a painful addiction. Enjoyed your articles. Best wishes to all who are working to be healthy. First of all, thanks for another great article. I had noticed the horrible effects of sugar on my body a long time ago and have been since trying to convince my friends and family. I wanted point out that in my experience the natural sweetener Stevia (in the form of Steviol) was as bad as sugar itself. My supersensitive metabolism reacted just the same way as when I took sugar or a mild alcohol. I don’t know the scientific background to that but that’s what I experienced. Finally, I also wanted to draw your attention to a couple of mistakes in the text. Sorry, I know I’m kind of pedantic, but thought you’d like to correct them.